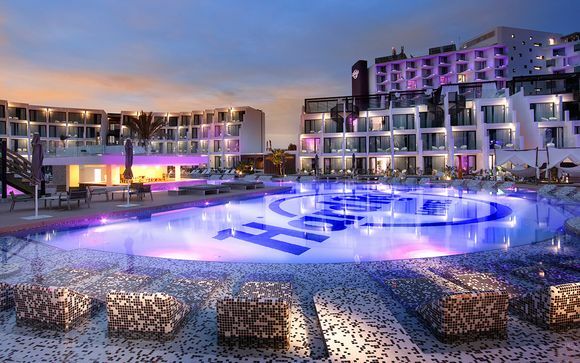 Luxury Ibiza holidays up to -70% off To take advantage of these offers, join now for free! 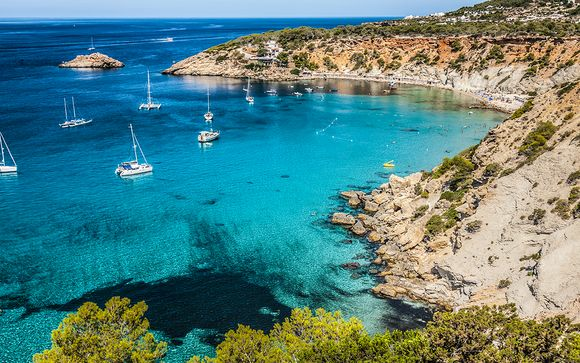 There's much more to Ibiza than the party scene of San Antonio. Look deeper into the heart of the Island and you'll find a rich tapestry of relaxing spas, boutique hotels and exclusive parties which make for ideal luxury Ibiza holidays. 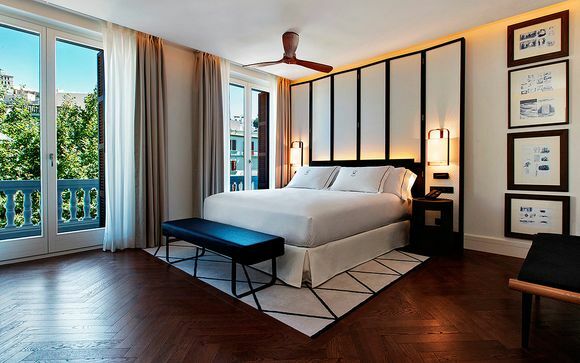 Be pampered by the beach or surrounded by the glorious natural hills of the island. Witness the infamous, vibrant talent for hosting and music at trendy bars and local clubs. The Ibizan calendar is always full of opportunities to both explore the island and celebrate its culture. Some events are so hot it's invitation only or requires booking months in advance. There's one main reason A-list stars flock to the white isle: if there's one thing Ibiza does well, it's treat people with a special sense of care you can't get anywhere else. 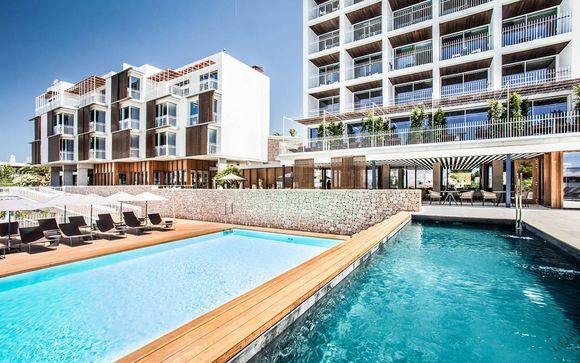 A strong sense of community as well as the eternally uplifting sunny skies sets its people with a smile, and both hotel and spa staff can make you feel like you're the most important person they'll speak to all day! Luxury Ibiza holidays aren't just pomp and ceremony - people really care if you're having a good time and enjoying the island at its finest. 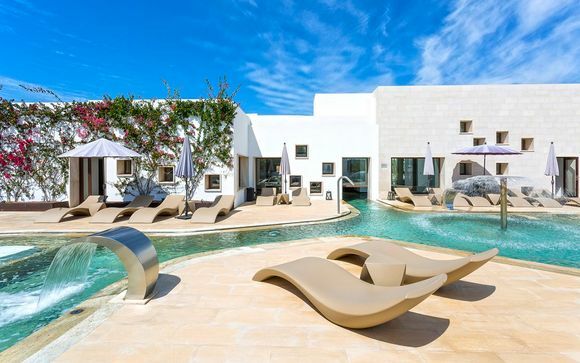 Though if you'd rather not spend your holiday in one of the boutique five star hotels, you can live like a celebrity and choose a wonderful Spanish villa to while away the summer. Should the mood to explore the more rustic and colourful side of Ibiza strike you, there's plenty of activities to choose from. The infamous Hippy Markets at Punta Arabi and Las Dalias run every Wednesday and Sunday respectively, offering a beautiful glimpse into the carefree nature and encouragement of creativity Ibiza holds dear. In the beautiful setting of Ibiza Town, you can relax and enjoy the sunset dining at the exclusive port bars and restaurants. Or why not take an evening to stroll into the Old Town itself, where several restaurants offer a unique insight into the authentic Spanish cuisine under the backdrop of the impressive Dalt Villa. With exclusive and carefully chosen prices to suit you, our expert team gives our members a first class range of offers that can't be beaten. With discounts of up to 70% there's no time like the present to treat yourself, so what are you waiting for? 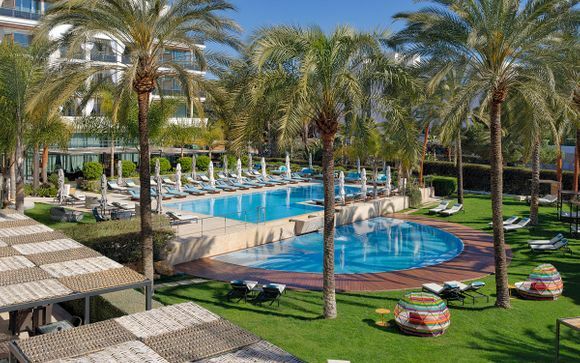 Join us today and book yourself a luxury Ibiza holiday!